EDIT: These are 1971 radios. There are a lot of very similar radios out there that are incorrect for our cars. My attempt here is for us to identify the right ones for the right applications for those who want their car's radio to be correct. If anyone just wants to get 'close' and are fully content with just having the similar look - then all good for them. But when I see someone paying $500 for a radio they think is correct for their car because the buyers and sellers have NO CLUE I get frustrated. Some related info: Back when our cars were ordered, many dealers would intentionally order cars with no radio just to offer aftermarket radios they could mark-up and sell at the dealerships. BTW this is different from a RADIO DELETE ordering option. If your invoice and Marti shows no radio reference at all, this was the case. My Boss 351 was delivered to dealer that way. I do think these cars got the radio block-off plates just as radio delete cars did. I do wonder if these cars got an antenna in the trunk like cars that came with radios did? OK now back to identifying radios!!! For basics, 1971-1973 Mustang radios only came in three varieties. Contrary to many stories. for our years there were NO AM-FM 8-tracks offered. And the only speaker available was a single upper dash speaker with AM. I believe both AM-FM and AM-8 track offerings received door speakers. From my recollection, no rear speakers were offered on 1971-1973 Mustangs. 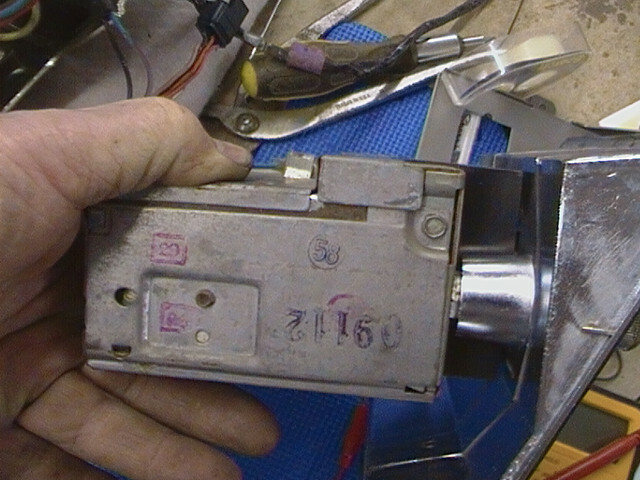 So the first pic is the 1971 AM. Are the 72 and 73's the same? The second pic is the 1972 - only? AM-FM with MUSTANG on faceplate? So did any of the 71-3 AM-FM's get the little chrome balance slider at the bottom? If so which ones? 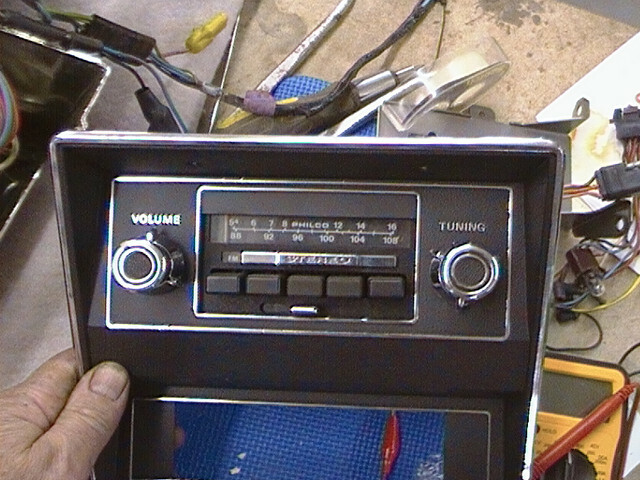 And the third pic is the AM-8 track for all 71-73 Mustangs? I keep seeing info that if you had factory AC, your radio was a smaller size?? -For all radios or just some types? How to tell difference or how much smaller? Which radio knobs are correct for our cars? There are some different ones out there some are longer than others, then some have black stems. But for those curious or wanting to know - stay tuned!!! Thanks ahead for Chuck and others willing to help!!!!!!!!!!!! I think this one is out of another Ford model the slide bar under the buttons adjusts the front to rear balance and Mustang never had a rear speaker option. 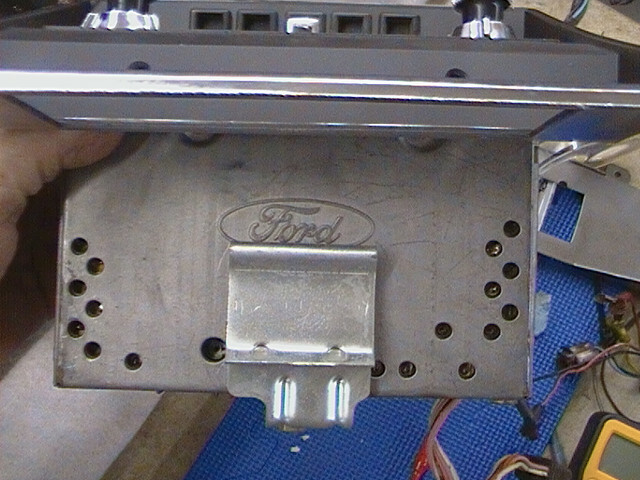 I have one of these in one of my cars has different Ford number than Mustang also. Since the PO of my car had cut the side rear trim panels and put rear speakers in I left them to fill the holes. You also need the 5 pin connection to hook up front door and rear speakers if you use it. Most will never know it is not correct. The little bracket on the top of the radio that slides over a piece of metal in the dash is always missing seems. Radio will bounce and can cause rattle or squeak if you do not have one. "Radio changed all 3 years. 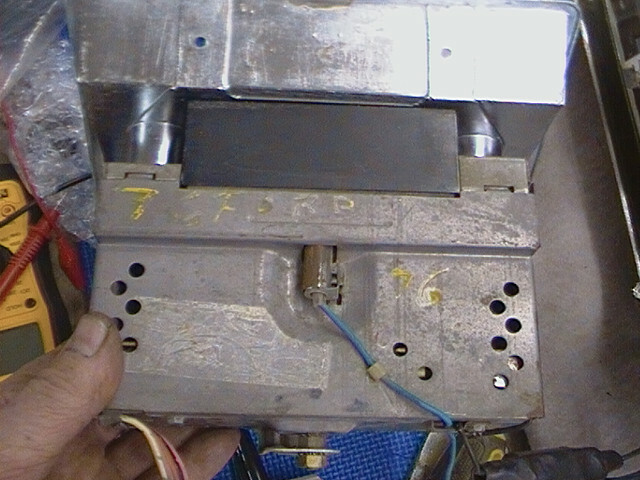 the radio face plate was also slightly changed, font differences." I sure would like to know what they are! Ray... after searching a bit... I found this page that shows the part numbers for all of the radios and they are linked to pics of each radio model. Looks like there was little in the changes across the 71-73 model years..
You are smart to match the years, and correct MANY buy and then find it is wrong (considering the money they pay) !! You are correct on your break down for speakers etc etc. 1971 IS HARD to have it all correct. 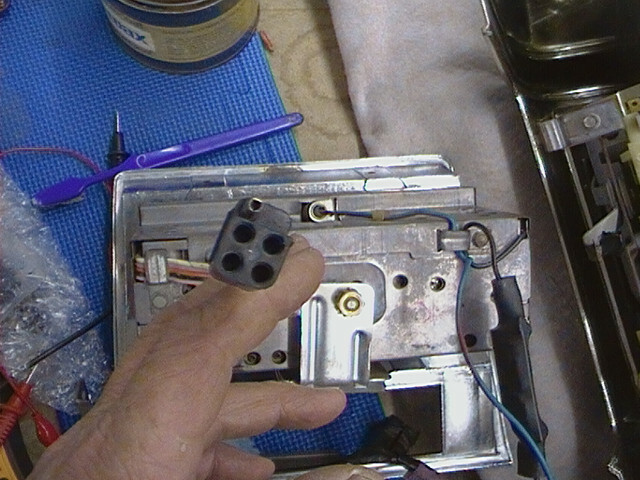 The head has Mustang in the face for the AM and the AM/FM .....AM 8 track is like C9ZX last photo. 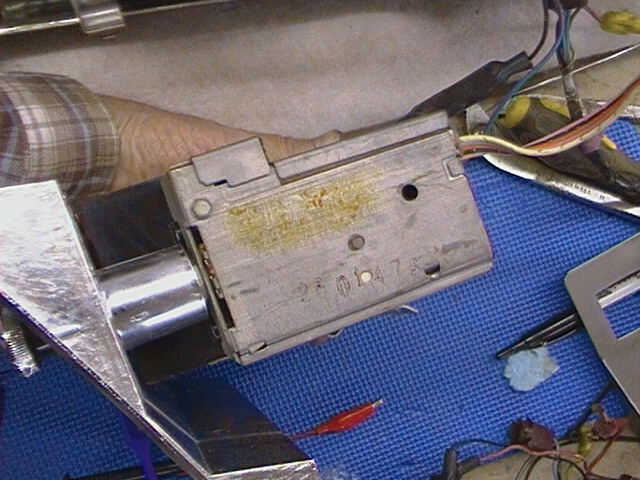 The speaker grills are unique to 1971 and were also "painted WHITE" for use on the 72 Sprints. P.S. Now take on the Antenna mask!!! Seems everyone says that 71 got the telescopic with the "whip" style not used til later cars. I'm still not sure, so I have BOTH in the trunk!